Пожалуй, лучшая биографическая статья про Б.В. Зейгарник. Написана для журнала Gestalt Theory, 2007, vol. 29, no. 3, pp. 256-268. Публикуется здесь с согласия автора. As time passes, it is increasingly hard to decide what really happened in the past. Eyewitness reports are embellished by misinterpretation and rumor, so one can never be certain about what is factual and what is not. 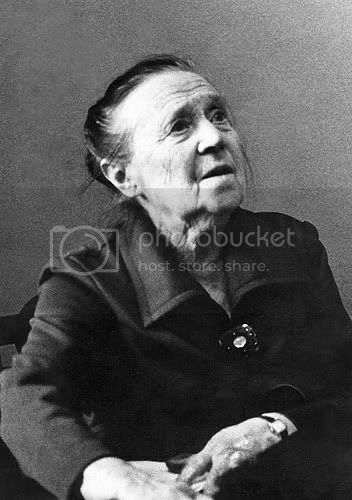 This brief biographical article on Russian psychologist Bluma Zeigarnik is regrettably late in appearing by ten to fifteen years—but there are good reasons for this, as will be clear by the end of this essay. In 1916, having bypassed the first four grades, Bluma Gerstein enrolled in the fifth grade at a girls’ gymnasium in Minsk, where all subjects were taught in Russian (except, of course, for courses in French, German, and Latin). She then spent seven years in the gymnasium, but four of these years were spent at home, because of a prolonged battle with meningitis. This disease, which is still greatly dreaded today, threatened to leave her disabled, or even to take her life. But somehow she survived and was eventually able to work with enlisted private tutors. She then spent three years in the gymnasium, graduating from the seventh grade in 1918 with a gold medal. It is interesting to see a list of the subjects she studied: God’s law, the Russian language and literature, mathematics, geography in general (with particular emphasis on Russian geography), natural science, history in general (but particularly Russian history), physics with mathematical and physical geography, and needlework. Supplemental subjects were languages and pedagogy. Bluma Gershtein wanted to go even further in her education, but in those days it was hard to find a university that did not insist on the standards required of a boys’ gymnasium. In contrast with girls’ gymnasiums, the schools for boys offered a wider range of subjects and a more intensive program. In 1918, she took an exam that was designed for the graduates of a boys’ gymnasium. Although her scores were very high, she was still required to take several courses for a second time, including Logic and Psychology. Soon after, she began to prepare to study at a university. As a result, she spent long hours in the library, where she met her future husband, Albert Zeigarnik, whom she married in 1919. At the time, she was only eighteen, and her parents were less than ecstatic about her choice of husband: he was not well to do, so the match was a bit disappointing. In time, however, her parents’ attitude softened, and, eventually, they not only agreed to send the couple to Europe to study, they also offered to assist her husband’s brother, who had an opportunity to study in Belgium. In 1922, Bluma Zeigarnik enrolled in the Department of Philosophy at the University of Berlin, while her husband was a student at the Polytechnic Institute of Berlin. Figure 1.Bluma Zeigarnik with her husband Albert Zeigarnik before arriving in Berlin. 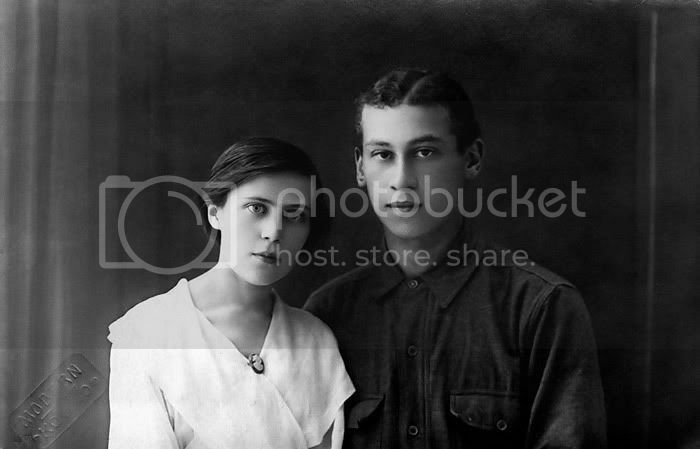 The picture was taken in Kovno (now Kaunas), Lithuania, in 1919-1920. It was perhaps through literature that Bluma became interested in psychology. While in the gymnasium, her literature instructor had been a great influence, in part because, in Bluma’s words, this teacher stressed the “psychological aspects of literature.” In contrast, the lectures on linguistics in the university were not received with great enthusiasm. While at the University of Berlin, Bluma was greatly interested in the lectures that were given by the now-famous Gestalt psychologists, Wolfgang Kőhler, Max Wertheimer, and Kurt Lewin. She also attended the lectures of Franz Ernst Spranger on pedagogy. Of particular interest to her were the lectures of Kurt Lewin. He was a young private-docent who had received a superb education in Freiburg, Munich and Berlin, and then spent two years in the Kaiser's army, serving near the front, where he was eventually sent back home after a combat injury. As a teacher, Lewin was only ten years older than his students and thereby far more able to relate to his students than were other, older teachers. When one looks closely at his work on scientific methodology and the nature of the research done by his students in the 1920s, he appears to have anticipated future epistemological discussions. As a teacher, he delighted in intellectual exchanges, in debates among his students, and in advocating scientific theory and the necessity of the verification of hypotheses through experimentation. Today, we would say of such a person that “he practices what he himself preaches,” that he teaches what he does. But in the early decades of the last century, such a direct approach to instruction was only likely to be found in a gifted, exceptional teacher. In 1925, Bluma graduated from the university, but she continued to work there, and, in 1927, after the publication of her work on interrupted tasks, she was awarded a doctoral degree. Until 1931, she then worked at the University of Berlin as a part-time research scientist, while her husband obtained a position at the Soviet Ministry of Foreign Trade. It appears certain that Bluma Zeigarnik’s decision to return to Soviet Russia was largely because of the influence of her husband and his brothers, who were favorably inclined toward Communism. None of them realized at the time that, having escaped from Fascism, they would now be entrapped in a system in which terror would prevail on a massive scale. What a heavy price awaited them in Stalinist Russia! But they saw their move quite differently then. Bluma always referred to this homecoming as her “return,” by which she meant that they had left, in 1922, a place that was genuinely Russian in spirit and form. 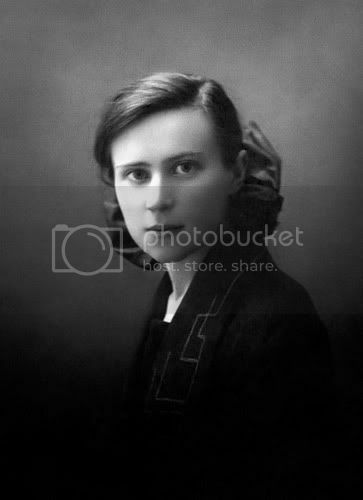 In 1931, the Zeigarniks moved to Moscow, where Bluma secured a position as a scientific worker at the Institute of Higher Nervous Activity, which was, in 1932, reorganized as a division of the All-Union Insitutute of Experimental Medicine (AUIEM). There, she met and worked with Lev Vygotsky, whose influence on her would be as great as that of Lewin. She considered the two of them to be among the era’s finest psychologists. She deeply empathized with both, and believed these feelings to be reciprocated. She dreamed of one day having the chance to introduce them to each other. In 1933, when Kurt Lewin stopped in Moscow for two weeks after a trip to Japan, attempts were made to persuade him to remain in the Soviet Union, but in the end he chose to emigrate to the United States. While in Moscow, Lewin presented a film and various talks, which Vygotsky attended of course. Together with Aleksandr Luria, Bluma's colleague and close friend who had first met Lewin and her in Berlin, it was Bluma who organized Lewin's visits to Vygotsky's home, after which the two men then spent a fair amount of time together. Four years later, Bluma was greatly disheartened when Vygotsky passed away. At the same time, Lewin was also eternally lost on the other side of the Iron Curtain. In later years, she never spoke of the spiritual emptiness that arose in her as a result of being separated from her former friends at the University of Berlin, from her teacher, and, essentially, from the entire world beyond the constricting boundaries of the “socialist camp.” Suspecting that Vygotsky may have deliberately refused treatment, she saw his premature death as a dreadful tragedy, and she thought of him always in sorrow. Forever, a portrait of Vygotsky stood behind the glass of one of her bookshelves. At the AUIEM, Bluma was preoccupied with clinical neuropsychology (referred to as “pathopsychology” then). According to her, her interest in this subject began while she was living in Berlin, at which time she and Lewin visited Kurt Goldstein's clinic at Lazarett Hospital. It was in the 1930s that medical psychology became her primary area of interest. In 1935, she was awarded the academic degree of Candidate of Biological Sciences. At that time, the German degree of Doctor of Philosophy, which she had been granted in Berlin, was not valid in the Soviet Union. On the contrary, it was advisable to conceal this “suspicious” credential, since it might be cited as evidence that its bearer was a purveyor of bourgeois ideas, beliefs that were opposed to those that were by then in power in the Soviet Union. In the summer of 1936, a resolution was put out by the Central Committee of the VKP(b) , titled “On Pedological Perversions in the System of the People's Commissariat of Education.” It was a terrible setback for Russian experimental psychology, and psychology in general. The work of many scholars, including that of Vygotsky, was subjected to ideological obstruction. The atmosphere of that period has been vividly described by Prof. Boris S. Bratus (a student of B.V. Zeigarnik) in his book (BRATUS, 2000). It is difficult to reconstruct today what may have been happening to Bluma during those years. What we do know is that in the period from 1936 to 1939, she did not publish a single scientific work. Only in 1940 did she finally publish her research about post-traumatic dementia, a study that she had begun in the early 1930s. In 1938, the AUIEM psychiatric clinic was reorganized, in the process of which it became a part of the Institute of Psychiatry of the Ministry of Health of the Russian Soviet Federal Socialist Republic, where Bluma then began to work as a psychologist-neurologist. In 1940, two extraordinary events took place in her life: First, in the wake of the Molotov-Ribbentrop Pact, the Red Army entered Lithuania. Whatever its global consequences, this event gave Bluma the first opportunity in many years to travel to Lithuania and to reunite with her mother. This was her first (and last) visit to her mother since the 1920s. Her father had already died by that time. Second, in the summer of 1940, Bluma’s husband was arrested on the charge of having spied for Germany. He was sentenced to ten years in prison camp without right of correspondence. So Bluma was left with two children, one of which was less than a year old, the other six years old. With this terrible loss of her husband, she embarked on a new phase in her life. She began to make regular visits to the Lubyanka to find out about his fate. And, of course, she also began to experience material difficulties. With such a turn of events, Bluma could only expect that her friends and colleagues might turn away from helping her, in fear of their own safety. However, this was not the case. Instead, she received moral support from many people, and not only from those who were in a similar situation. Especially notable was Aleksandr Luria, who graciously assisted her in every way possible, and her very close friend Susanna Rubinshtein, whose support, if it does not sound hyperbolic, looks today like an act of heroism. Not only was Susanna courageous enough to accompany Bluma to the Lubyanka, she also went there in her place. In those days, few would have taken such a step. The events of these years left a deep impression on Bluma for the remainder of her life. Fear became the focus of her daily life, especially her fear for the fate of her children. She built up an internal censor, such thatextreme reservation appeared in place of the genuine openness that had been such a vital part of her character. Within the family, she avoided discussions about relatives who lived abroad, or about the pre-Berlin and Berlin periods of her life. Anything that linked her to Western science became a de facto taboo. A Marxist worldview was “official” in the family, and one could only imagine what she really thought and felt. Even at the end of the 1970s and beginning of the 1980s, at which time I was in middle school, conversations between Bluma and Susanna Rubinshtein sounded as if they were part of a conspiratorial rendezvous (and not by the latter’s initiative, as Susanna was one who spoke openly about everything). At the same time, it is certain that Bluma's professional and scientific views were sincerely Marxist, like those of Vygotsky. Finally, there is another reason why the family archive is so thin. This did not occur to me until I found at home a document that was simply labeled Protocol. It states that “on the basis of an order of the People’s Commissariat of Internal Affairs of the USSR for #536 of 7 August, 1940, a search/arrest has been made of citizen Zeigarnik A.Ya.… The street cleanerDymov and the wife of the suspect were present… Seized: 1. Various notes with [illegible] with and telephone numbers 11 pcs. 2. Notebook 1 pc. 3. Photograph (group photos) 6 pcs. 4. General notebooks with technical notes in German 1926 2 pcs. 5. Technical note on electrical engineering 1925 in two folders, one of them in German 79 sheets…” The Protocol also notes that there was a sealed room with numerous documents, folders, notebooks, and records. In 1941, Bluma was sent to a regional branch of the AUIEM, a clinic for nervous diseases in the pleasure resort Kisegach in Chelyabinsk oblast (in the Urals), where she began to work as a senior research scientist. She worked on restoring the psychological and somatic activity of people who had received head injuries. Bluma's oldest son Yuri, who was a schoolboy in these years, remembers that treating the wounded was so formidable that even the smallest successes in their rehabilitation were a great joy. After World War II, Bluma began to prepare a dissertation based on the medical studies she had begun in that period. But just as the dissertation was nearing completion, it disappeared. To put it bluntly, while visiting Bluma at her home, one of her coworkers at the psychiatric institute had stolen it. Bluma then promptly destroyed all the drafts. She was afraid that it might be published, and she would then be accused of plagiarism. Today, such a turn of events may seem implausible, even absurd, but fear is sometimes more compelling than clear thinking. In 1943, when Bluma returned to Moscow with her sons, she found her apartment had been robbed. While they had been living in Kisegach, the authorities had housed in their Moscow apartment an unknown and unpleasant person. For some reason, this person considered everything his own property, with the result that he had used the home library and much of the furniture as firewood for the stove. It is possible that part of the family archive vanished during this time. During this resident’s struggle for warmth, he tossed into the fire, in addition to the writings of scholars who were unfamiliar to him, all the publications of Marx and Engels to be found in the home. (Does there not seem to be something mystical in this unabashed materialism?) The writings by Lenin, however, remained. Bluma had to endure numerous humiliations, but, after the intervention of a military prosecutor, the apartment was returned, and she was then finally able to resume her normal daily life. In 1943, Bluma resumed working at the Institute of Psychiatry, as the head of a laboratory. In 1949, she also began to teach courses on pathopsychology at Moscow State University. But between 1943 and 1948, there is a gap: there is no information, only a few publications (basically devoted to the effects of brain trauma), and not one surviving letter or other documents. At the end of the 1940s, the scientific work of all Soviet psychologists were subjected to another blow. The sadly famous VASKhNIL session and the Pavlovskaya session created a difficult atmosphere in which to work. And then at the beginning of the 1950s, an experience of yet another type awaited Bluma. A state anti-Semitic campaign was beginning to unfold in the country: the Doctors’ Affair, the affair of the Jewish Antifascist Committee, and others. In 1950, Bluma stopped heading the laboratory, and in 1953, she found herself completely jobless. All this was foreshadowed in 1951 by an ordinary personnel certification of Bluma, with regard to her position as a senior scientific worker. It was explained that she could not be recommended for certification, as there was an absence of the standard documents regarding her higher education. An explanation was requested from the legal division of the Ministry of Higher Education, and the recommendation would be delayed until that had been received. At the time of Bluma’s removal from work in 1953, the director of the Institute of Psychiatry was Professor D.E. Melekhov, who had the highest esteem and respect for her. One could say many kind things about him, but the story of Bluma’s dismissal is the most eloquent testimony to his human qualities. When Melekhov found himself facing the necessity of dismissing her, he delayed the moment in whatever way he could, until finally, he thought up the following ruse. He sent her to a hospital for a whole year. At that time, as still today, a person could not be fired while on leave of absence due to illness, but, at the same time, it was also impossible to take sick leave for an entire year. Therefore, Bluma returned from the hospital for a couple of days, and then went back to it. In the course of only those “two days,” Melekhov (allegedly) did not get around to dismissing her, although an order ready for signing was on his desk the entire time. Finally, further delays were no longer possible, and, in a conversation with Bluma, he said: “Forgive me, I have to dismiss you, but promise me that tomorrow you will go and take me to court.” From the formal standpoint, Jewish ethnicity did not constitute a legal reason for firing someone. After this happened, she continued to show up for work, but she had no means for survival. At this time, Luria and Rubinshtein came to her aid. They provided her with money, and Luria found every possible way for her to earn at least a little bit. Sometime later, when Susanna Rubinshtein found herself in an analogous situation, it was Bluma who helped her out. 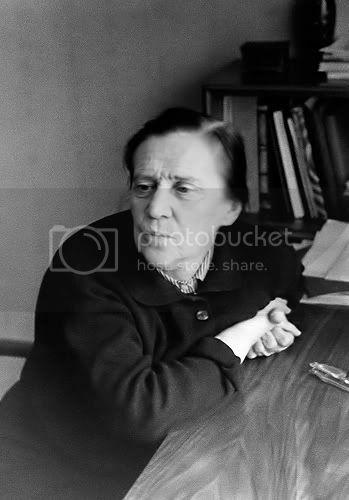 The anti-Semitic campaign abated after Stalin’s death in 1953, but it was not until 1957 that Bluma returned as the head of the psychopathological laboratory at the Institute of Psychiatry, where she remained until 1967. She also worked continuously at Moscow State University, beginning in 1953. In 1958, Bluma prepared her third doctoral dissertation (the first two being her University of Berlin dissertation and the stolen one), which resulted in her being granted the degree of Doctor of Pedagogical Sciences. In 1965, the title of Professor of Psychology was conferred on her, and in 1967 she was elected chair of the Faculty of Psychophysiology and Neuropsychology of Moscow State University. Slowly, her life was becoming more stable. Her monographs Thought Disorder in the Mentally Ill (1958), Pathology of Thinking (1962), Introduction to Pathopsychology (1969), Personality and Pathology of Activity (1971), and Foundations of Psychopathology (1973) appeared. Some of these were translated into foreign languages. In 1969, when she was able to attend the International Congress of Psychology in London, it was her first opportunity to go abroad in many years. Bluma contributed to the preparation of the work in the pathopsychology sections. It was only by this event that many scientists "from outside the iron curtain" discovered, to their surprise, that a woman named B.V. Zeigarnik was still active as a Soviet psychologist, and that the sphere of her interests went far beyond that of the investigation of interrupted actions and even gestalt theory. In 1978, Bluma was awarded the First Degree Lomonosov Prize for a cycle of works dedicated to the psychological manifestations of various mental disorders, and the correction and rehabilitation of the mentally ill. In 1980, Bluma traveled to Leipzig to participate in an International Congress of Psychology. With this event, interest in her work increased. At that gathering, she met Professor J.L. Tapp, who was at that time on the committee that selected the recipients of the Lewin Memorial Award. Tamara Dembo, Ellen Greenberger, and Harry Triadis were also appointed to that committee. In 1983, by Tapp’s initiative, Bluma was awarded this prestigious prize. In an address directed primarily to her American colleagues, Tapp observed that “I believe our choice exemplifies the psychologist's social and scientific responsibility to recognize and respect research across national boundaries. Only in this way can the community of scientists resist ideological pressures, both left and right, and continue its major activity: the acquisition of knowledge and its communication for humankind's benefit” (TAPP, 1984). Clearly, not everyone in the Western scientific world was willing and eager to “recognize and respect” the services of a Soviet scientist. And what was the reaction from the other side of the border? It would be naïve to think that any person in the USSR in 1983 could freely accept an American award: one still needed official permission from the Communist Party authorities. In such situations, the local committee of the Communist Party (Partkom) would hold consultations. In particular, a letter by Bluma was sent to an expert psychologist whose past work was not stained by "pedological or other perversions." The expert stated that Kurt Lewin was a dubious personality who had abetted elements that were hostile to the Soviet Union. Therefore, it was his recommendation that B.V. Zeigarnik should refuse the award. Fortunately, the Partkom ignored this recommendation, and yet the permission to travel to receive the award was emphatically not recommended, which was in effect a ban. Figure 3. Bluma Zeigarnik listening with curiosity to somebody (early 1980s). In the 1980s, Bluma continued to work as Chair of the Faculty of Pathopsychology and Neuropsychology of Moscow State University, where she had many graduate students, and gave lecture courses on pathopsychology, pathology of thought, and foreign theories of the personality. Her monographs The Theory of Personality of K. Lewin (1981), Theories of Personality in Foreign Psychology (1982), and Pathopsychology (1986) appeared during these years. Time, however, had taken its toll, and she had been seriously ill with anemia for many years. To restore her strength required blood transfusions, the frequency of which increased. She passed away on February 24, 1988. Before her death, in those minutes when she was able to distract her attention from the exhausting pain, she unexpectedly remembered the Faculty of Psychology and asked questions. She thought about her beloved subject up to the very end, and remained dedicated to it. Figure 4. One of the last photos at the Faculty of Psychophysiology of the Moscow State University in the 1980s. Thus passed Bluma Zeigarnik’s life, full of her experiences of strength and sorrow, and yet also full of joy—the joy of what she had accomplished, the joy of the pleasure of working beside remarkable people, and the joy of having been sustained by enduring and genuine friendships. She spoke warmly of her many friends and colleagues whose names are widely known in the psychological and psychiatric community, but who cannot be enumerated here without the risk of inadvertently omitting some. In this article, I have purposely not addressed the technical nature of Bluma Zeigarnik’s research, because it is outside my area of competence. Instead, I simply want to add a few words about what she was like as a person. She was a tiny, fragile-looking woman, hardly coming up to the shoulder of a person of average height. Understandably, she never gave lectures from behind the podium, because she would not have been visible. But she perceived herself to be taller than her actual physical size. Every time she bought a coat or a dress, she would choose a size too large. Then it would have to be modified or exchanged. Figure 5. 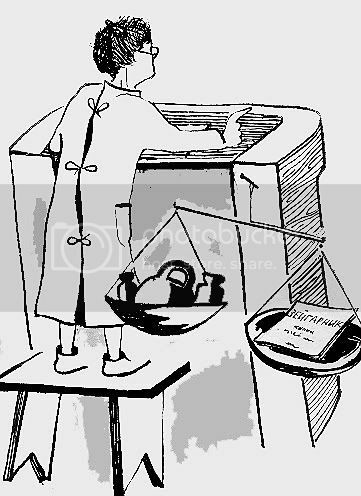 Caricature of an unknown author displaying Bluma Zeigarnik lecturing behind the podium. "A book by Zeigarnik" is on one of the scales. She loved it when people, many people, came to visit her at her home. Her graduate students were often at her apartment. She took an interest in their problems, participating in a lively manner in everything. Sometimes even the most intimate secrets would be shared with her. I remember how shocked she was when she smelled how smoky a student’s dissertation was: “I have to tell her that one can’t smoke so much! Is it appropriate that a manuscript should smell so much of tobacco?” But we, her grandchildren, were her favorite “subjects.” Most likely, the entire psychology faculty knew every childhood stunt I pulled. As I was growing up, the science of psychology had a vivid presence in my life, through the person of my grandmother. She was a person whose loyalty was exemplary, and sometimes it took an abrupt turn. I remember how bluntly she voiced her opinion one time about popular music. My father and I were arguing about this or that composition. I insisted it was good, and he maintained the opposite. “You are completely wrong, Volodya,” she told him, “this is a remarkable piece of music, because it is comfortable to do the anti-osteochondrosis exercises to it that have been recommended to me lately.” She was also loyal in her assessments of people, and yet, at the same time, she had an almost mystical ability to analyze people according to their faces, gaits, and other external characteristics. One look was practically enough for her to determine whether a person was capable of doing evil. The person did not even need to open his mouth and to speak. It is possible that this ability was the result of long hard years of life, or it perhaps it was simply the wisdom of a great clinician, an observer of people. Perhaps her most distinguishing trait was her extraordinary kindness. For anyone who knew her, this is what they will remember of her for the rest of their lives. I would like to thank my father Vladimir Zeigarnik and uncle Yurii Zeigarnik for useful discussions that helped me to write the first draft of this article, Dimma Davidoff for very useful suggestions and his constant attention, and Dr. Abraham Brafman and Professor Roy Behrens for editing the text at various stages of manuscript preparation. BRATUS, B. S. (2000): Russian, Soviet, and Post-Soviet Psychology. Moscow: Flinta (in Russian). BRUSHLINSKY, A (1997): The “Pavlovian” Session of the Two Academies, European Psychologist 2, 102-105. LIPPITT, R. (1947) Kurt Lewin, 1890-1947. Adventures in the Exploration of Interdependence, Sociometry 10, 87-97. TAPP, J. L.(1984): Kurt Lewin Memorial Address: B.V. Zeigarnik, Journal of Social Issues 40, 181. ZEIGARNIK, B. (1927): Das Behalten erledigter und unerledigter Handlungen. Psychologische Forschung 9, 1-85. ZEIGARNIK, B.V. (1961): Denkstörungen bei psychiatrischen Krankheitsbildern; eine experimentalpsychologieche Untersuchung. Berlin: Akademie Verlag. ZEIGARNIK, B.V. (1965): The pathology of thinking. New York: Consultants Bureau Enterprises. ZEIGARNIK, B.V. (1972): Experimental Abnormal Psychology. New York: Plenum Press. ZEIGARNIK, B.V. (1984): Kurt Lewin and Soviet psychology, Journal of Social Issues 40, 193. 1. How do we know that the actual study was done in the early 1930s? 2. Do you happen to have any info on the role of Dubinin in the study, i.e. : did he really participate or just lent his name, e.g., in order to facilitate publication?